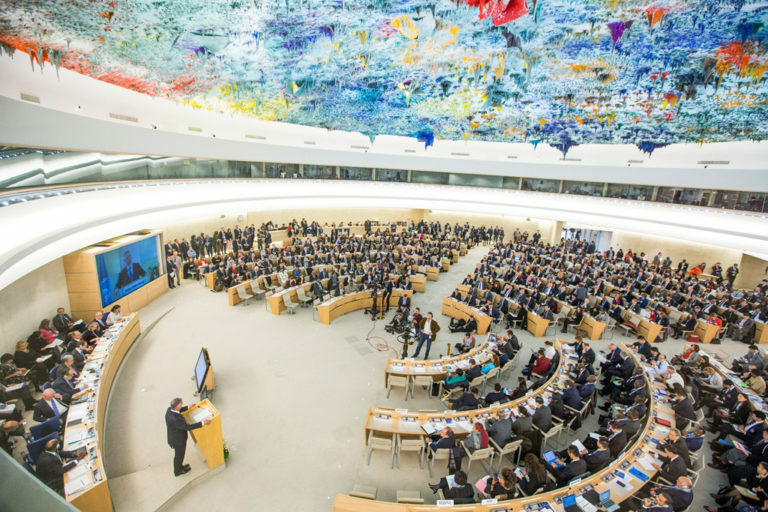 Today, at China’s third Universal Periodic Review at the United Nations, 13 member states stood up for Tibet, including Australia, Austria, Belgium, Canada, Denmark, France, Germany, Japan, New Zealand, Sweden, Switzerland, the United Kingdom, and the United States. Nine of these states (Australia, Canada, Denmark, Germany, France, New Zealand, Sweden, Switzerland, and the United States) made recommendations on Tibet. As part of the UN Tibet Advocacy Coalition, SFT has engaged in UN advocacy work for the past five years. With your support, we have urged diplomats from around the world to raise Tibet to build pressure on Beijing to address its failed policies and back down from its vicious campaign of violence against Tibetans. Today’s victory for Tibet reaffirms our belief that our presence at the UN is working in countering the Chinese government’s lies and in holding them accountable. When we stand as a united front, there is no stopping us! Please support the continuation of this critical work.